Incorporating Indigenous perspectives into the city's vision for arts and heritage will help tell a more complete story of Edmonton's past, a local historian says. "When we're presenting the past, it really does paint a picture that began at contact," says Christina Hardie, who is of both settler and Métis ancestry. 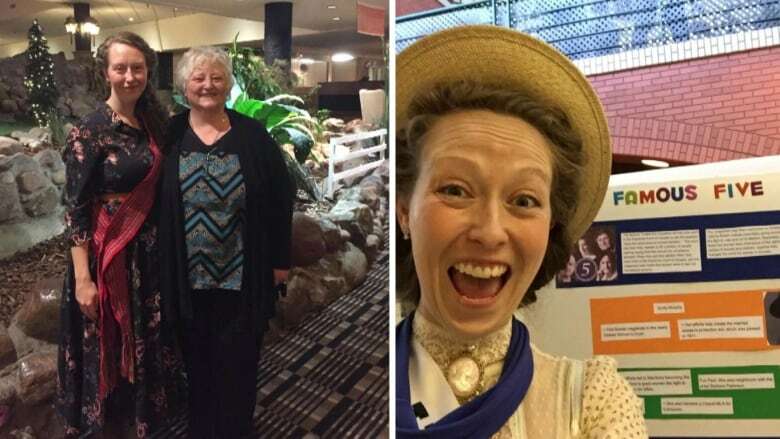 "Fort Edmonton Park — a lot of Edmontonians see that as the embodiment of our past," she said. Hardie said she grew up with a white-washed version of history and knows now there's more to consider. That's one of the reasons she participated in public sessions looking at the city's next 10-year arts and heritage plan. Hardie said there should be more events that engage people, in general, with Edmonton's Indigenous history. "The Flying Canoe Festival has really taken off and then there's the Byzantine Festival," she said. "But those are kind of the only two examples that I know of." Hardie wants to see more integration and thinks more public art installations could help. She suggested one that starts at ground level, literally. "You can represent the different people who've been in Edmonton through different footsteps embedded in sidewalk: horseshoe prints, snowshoe prints, different animal prints," she said. The current plan, which expires at the end of the year, doesn't capture Indigenous values, said Edmonton Arts Council executive director Sanjay Shahani. "This is what we've heard over and over again. 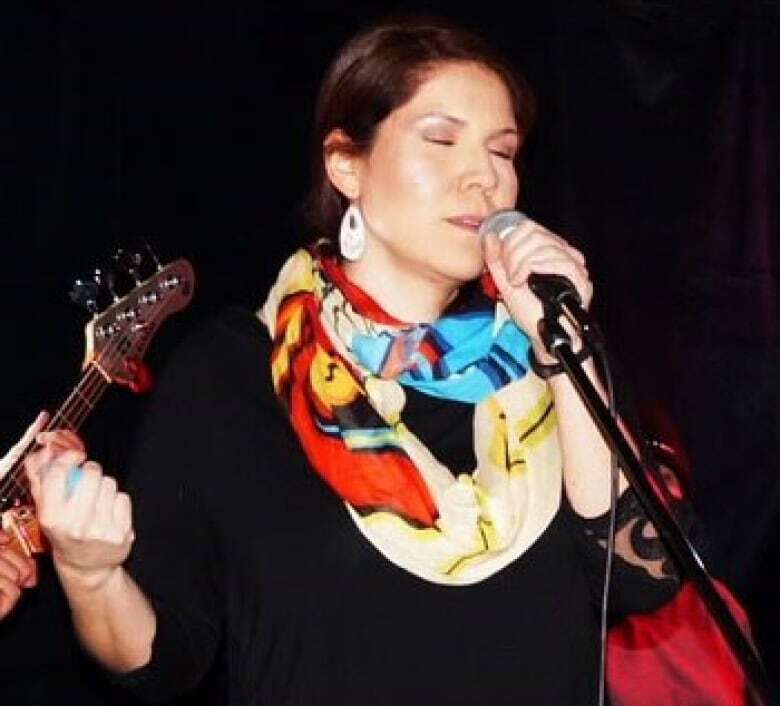 Indigenous artists in our city have made contributions and I think we would like to see them develop and make more contributions to the cultural ecology of our city." This time around, the arts council made a point of holding consultations specifically with local Indigenous youth, elders and local leaders. "It's just a way to recognize that perspective existed before any of us got here," Shahani said. "They have a particular and holistic way of looking how creative activity and artistry activity actually is part of everyday life. "Art-making and cultural practices are integrated into Indigenous communities. They're not separate." Bernice Whalen agrees that heightened awareness of Indigenous artists could help foster cultural understanding. There are so many talented Indigenous artists that go unrecognized, said Whalen, a member of Saddle Lake First Nation. Her sister, Lori Tegart, is one of them, she said. "Her paintings, when you look at them…. you're trying to decipher: what is it about it?" Whalen said. "It's hard to describe. It's like you've been there. It's very haunting." Donita Large, who grew up singing on Saddle Lake First Nation, said Indigenous artists of all platforms and media need a space to create. "We know there's hundreds in the city that are professional artists, but there really is no one space that you can find people, that you can meet people to find out more about what they do, what they can offer," said Large, a high school graduation coach for Indigenous students. "Part of it is having opportunities for people that allow them to do their art, support their art. "A lot of times, people don't have those opportunities because they're busy trying to just make life work." Hunter Cardinal, of the Edmonton-based Indigenous design firm Naheyawin, is working with the Edmonton Arts Council to lead the Indigenous consultations. "It's not to do it right in the next 10 years, but it is to keep us in line with our vision," Cardinal said. "That original idea of our ancestors, for millennia, have been taking great care to pass down stories that have teachings, that are gifts of knowledge to the generations that are coming. "How can we continue doing that today given who we are today and given the tools that we have?" Including Indigenous values in the new arts plan has already begun with the process. An important tool throughout the public input phase has been digitized lobsticks. Lobsticks, or markers, were used by Indigenous peoples as wayfinding tools. "The aim of the consultation and the symbol of the lobstick really resonated, because what's happening today is Edmontonians are gathering to define what's most important to them and use that as a guide into the future," Cardinal said. A final meeting on the plan with local Indigenous artists will be held Monday night. Shahani expects the new plan to be completed by the end of October and presented to city council in November.